The Prowler is a decent slasher movie that was released in1981. I had been wanting to see this one for years but at the time I first heard of it, I think it was already out of print from its initial DVD pressing from 2002. It has since been re-released on DVD, so if you wanna see this one, don’t worry. Funny enough, it is that 2002 release that Netflix sent to me. From the very first kill scene, I knew the awesome effects were Savini-esque… And I was right! I had totally forgotten Tom Savini had done the effects for this movie. 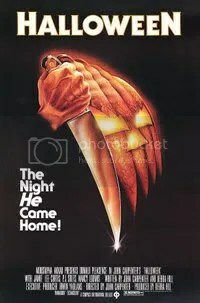 The movie was directed by Joseph Zito, who would later go on to direct Friday the 13th: The Final Chapter (again, Savini doing make-up effects) and two Chuck Norris films– Missing In Action and Invasion USA. As I was watching this movie, I was instantly reminded of the original My Bloody Valentine (also released in 1981): small town, unsolved murders from decades ago during a special event, town relents and lets special event take place again and the murders start up again. If I’m remembering what I’ve read about this movie, some of the kill scenes and gore were pretty controversial for the time and the theatrical cut took most of that out (same thing happened to My Blood Valentine), but luckily, the DVD edition is the unrated cut. The acting is decent for the genre but the story is so-so with not a lot of explanation as to why some characters are doing certain things and there’s plenty of jump cuts and poor editing. So it wasn’t what I was expecting it to be, but I’m still glad I watched it. If nothing else, I can now say “yes, I have seen The Prowler“. If you’re a die hard slasher fan, this is a recommend but anyone else may be a bit bored with it. 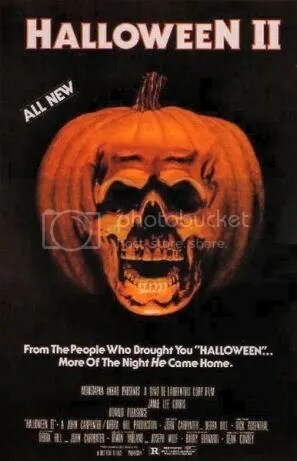 I didn’t know much about this movie before watching it other than it is one of the earlier slasher films that tried to cash in on the success of Halloween and Friday the 13th. Really, that was all I needed to know because I enjoy early ’80s low budget slashers. Just like any good slasher movie, this one focuses on a special occasion/holiday — weddings. Makes me think of the Alice Cooper song “Roses on White Lace” (knowing Alice, that song very well may have been based on this movie!). This is by no means an under appreciated classics, but it’s surprisingly good and I’m sure it’s only a matter of time before we get a remake of this one (hey, if someone is willing to make freakin’ Prom Night and My Bloody Valentine…). Two severed thumbs up from me and it was the perfect movie for me to watch on this cold, wet dreary Fall evening! I really have no qulams with the list other than thinking Jason Goes to Hell: The Final Friday is easily the worst of the lot, and thus deserves the #10 slot. I could go for Friday the 13th Part VI: Jason Lives being ranked a bit higher as well. Jason Takes Manhattan is a personal fave of mine, but I know it doesn’t hold up to the high quality of some of the other movies.